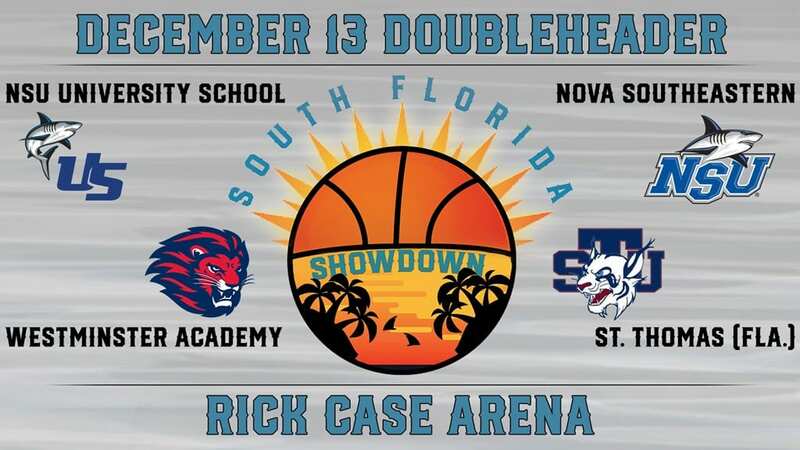 FORT LAUDERDALE, Fla. – The Nova Southeastern men’s basketball team has beefed up the local fanfare for its Dec. 13 date with the announcement of the inaugural South Florida Showdown doubleheader event. Adding to the existing face-off with local rival St. Thomas Bobcats at 7:00 p.m., the Sharks will also host Florida high school powerhouse competition between NSU University School and Westminster Academy at 5:30 p.m. in the “Shark Tank” at Rick Case Arena, housed in the Don Taft University Center. Nova Southeastern is ranked at No. 17 in NCAA Division II by the National Association of Basketball Coaches (NABC). Expanding on the immediate positive change seen under second-year coach Jim Crutchfield, the Sharks are again off to a hot start in the 2018-19 season, opening up 3-0 for the second consecutive year – the lone 3-0 starts for NSU since joining the NCAA. The Sharks finished last season 17-10 to produce the best winning percentage for the program since joining the NCAA. Reaching the second round of last year’s NAIA Division II National Championships, the St. Thomas Bobcats have opened this year 2-4, but are 2-1 so far playing in the Sunshine State. 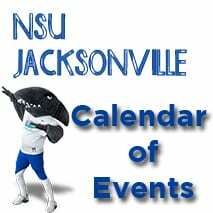 Recently rekindling an old Sun Conference rivalry between the Sharks (then Knights) and Bobcats, NSU has claimed a 7-2 advantage in home games against STU over the last 25 years. Bringing exciting prep competition to open the doubleheader, University School and Westminster Academy are among the premier programs in Broward County. Last season, the U-School Sharks not only blew through the competition en route to a 5A Florida State Championship, the squad came just one win shy of a national championship with a 33-2 record and No. 2 ranking in the USA Today Super 25. Meanwhile, the Westminster Lions earned their second consecutive 4A state title in 2017-18 on a 23-6 season. University School enters the year listed at No. 4 in USA Today preseason rankings. Both teams are at 0-0 and are set for their season openers on Wednesday, Nov. 28. The high school portion of the South Florida Showdown will tip off at 5:30 p.m. in a neutral-site matchup on the court at NSU’s Rick Case Arena. In the nightcap, NSU and STU will follow at 7:00 p.m.
Tickets for the South Florida Showdown event will be sold as a joint ticket at standard Nova Southeastern pricing: $7.00 general admission / $5.00 seniors/ NSU students/faculty/staff free. Tickets will be available on the day of game, Dec. 13 through the Rick Case Arena box office at the Don Taft University Center.